It was an unexpected victory for BLOOM. In a letter received on 1 February, the Directorate-General of Maritime Affairs and Fisheries (DG MARE) informed the NGO of its intention to refer the matter to the Commission, so that the EU executive initiates an infringement procedure against the Netherlands. This decision formally rests with the College of Commissioners and is expected to result in a letter of formal notice being sent to the Dutch government. The NGO, which is specialised in ocean protection, did not expect this. Its first complaint, filed in Brussels on 2 October 2017 for the illegal issuing of fishing licences by Amsterdam, had not been acted on. This led the organisation to refer the matter to the European Ombudsman in November, who then instructed the Commission to respond to this complaint by 31 January at the latest. Electric fishing was officially banned in the European Union by the regulation of 30 March 1998 for the conservation of fishery resources. The practice, which involves equipping bottom trawl nets with electrodes in order to send shocks into the sediment and to dislodge flatfish, causes burns, bruising and skeletal deformities in these fish due to the electric shock. However, since 2007, a new regulation has opened the way for exemptions of a maximum of 5% of each member state’s beam trawler fleet. The NGO believes the Dutch government has exceeded this quota because, in 2007, it issued 22 licences rather than the 18 authorised. Among other objections, Amsterdam also supposedly ignored the maximum voltage provided for by the regulation (15 volts), giving the green light to devices ranging from 40 to 60V. “This letter confirms that we were right. Not only is electric fishing an environmental and social disaster, but it’s also a huge case of fraud,” said Frédérich Le Manach, BLOOM’s scientific director. The NGO also filed a complaint in April with the European Commission regarding the Dutch government for the lack of communication about the subsidy amounts provided to its fishing fleet between 2007 and 2014. Together with other NGOs, BLOOM also took the matter to the European Anti-Fraud Office (OLAF) on suspicion of subsidy fraud, saying payments from the Dutch government had not been used to fund scientific research. 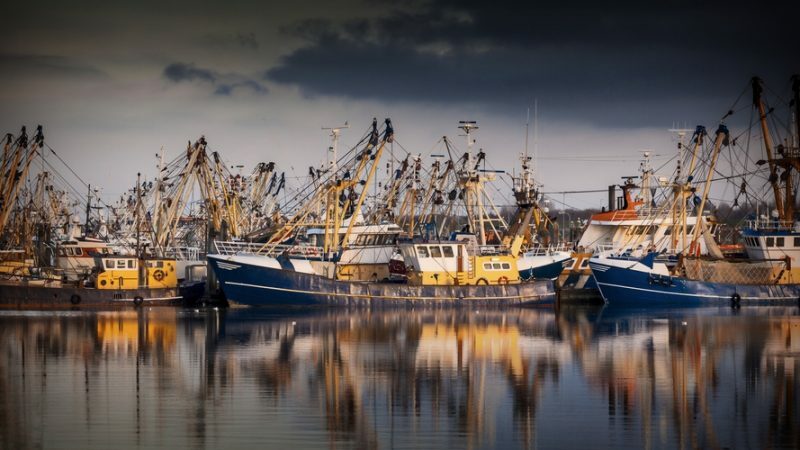 The industrial electric fishing fleet has received at least €5.7 million in public subsidies, including €3.8 million (67%) from the European Union, according to the associations. This letter comes at a key moment in negotiations on the future of electric fishing, which is currently under debate in trilogue. While the European Parliament officially supported a total ban in January, the Commission called for exemptions to be maintained and extended. However, it is not clear that a solution will be found before the European elections in May. In this case, negotiations on the future of electric fishing will have to start over. Like with Farming, again the French refuse to modernize and instead seek to stifle competitors with laws. eh? what have the French got to do with it? Given the ban on electric fishing & given the 2007 regulation which the Dutch broke – I’m not sure how this is “stifling competition”. Evidently the EC does not think so – I wonder why you do?